Local author Stephanie Oakes' debut novel began as a series of poems. Stephanie Oakes has thought a lot about what it would be like to not have hands. 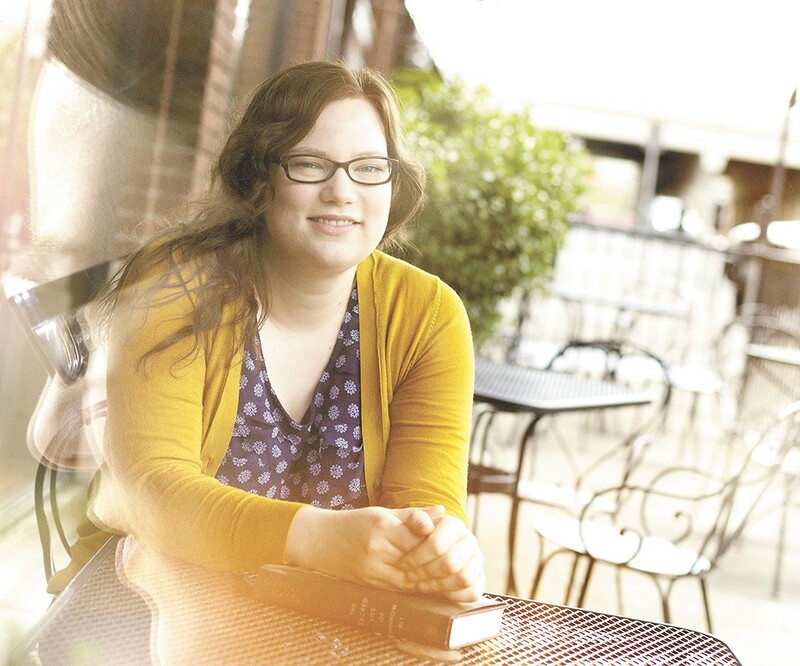 If she had no hands, she'd never have been able to take pen to paper, the early versions of her debut young adult novel spilling into a notebook at the Rocket Bakery in downtown Spokane as she waited for a morning carpool out to Whitworth University. And if she had no hands, she'd never have been able to transcribe those pages of prose into digital form. Without hands, even the simple act of turning the pages of the novel that eventually materialized would be a challenge. There are a lot of things Oakes couldn't do if she was handless. And although hers are very much attached at the wrists, casually resting atop each other on a worn, wooden table in the afternoon summer sun, Oakes knows better than most what it's like to live without hands. The 27-year-old author spent the better part of five years — from that first handwritten draft to the final revisions — inside the head of a courageous and handless heroine, the first-person protagonist of her novel The Sacred Lies of Minnow Bly. Set in the present, Oakes' young adult novel is harrowing and traumatic at key moments, including when Minnow recounts the fateful moment that her hands are savagely sliced from her arms. "It has to be there, but it's not going to be everyone's favorite scene," Oakes reflects. "That's the most difficult for me, too, because it was not fun to write." At 17, Minnow is the eldest daughter of parents who decide, when their daughter is only 5, to pack up and join a handful of other disenfranchised families on a quest to escape the sins of the world. Hungry to cultivate the seeds of hope planted in their minds by the Prophet, leader of the newly founded Kevinian religion, the group retreats into the wilderness of western Montana. There, the Prophet dictates every aspect of their lives — his deceptions are disguised as the command of God himself, who only speaks his wishes through this semi-divine man. A twisted soul formerly named Kevin, the Prophet orders young girls to be married off to polygamous husbands decades their senior. No one is allowed to read, and women are cast to the bottom of this patriarchal society, in which disobedience can bring the punishment of torture or death. Bravely defiant, Minnow is the only Kevinian who openly questions this sordid set of beliefs. It's because of her doubt and acts of rebellion that the world as she and the other Kevinians know it crumbles to ash. At first glance, the premise of Oakes' novel may seem horrifying. Although entirely fictional, its plot pushes boundaries in the same vein of other popular YA series, like The Hunger Games. "When you're writing, you have an internal barometer of 'Does this feel right and necessary,' and when I wrote those scenes [of violence] they felt right to me. You see the characters without a mask — they drop their artifice and they are exactly who they are at that moment, and their reactions are authentic," Oakes explains. As of last week, Oakes was waiting to hear back from her publishing agent, who was in talks with a film agent about optioning the rights for The Sacred Lies of Minnow Bly. When she signed on with her publisher, Dial Books, a division of Penguin, Oakes entered into a two-book contract and is already deep into revisions for her second YA novel, titled The Arsonist, which is tentatively set to release in 2016. Minnow Bly's tortuous tale originated as a series of poems. Having completed her first two years at Eastern Washington University as a Running Start student while still enrolled at West Valley High School in Spokane Valley, Oakes entered EWU's MFA program in creative writing to study poetry when she was only 20. For one class, students were instructed to choose an obsession, and craft the quarter's worth of work around the theme. Oakes chose fairy tales, and was surprised at how quickly she ran out of ideas. "I was complaining about it to my mom, and then she gave me this book called Women Who Run with the Wolves, a nonfiction text about women in mythology, fairy tales and literature," she says. "In it was the fairy tale The Handless Maiden by the Brothers Grimm, and I read it and really liked it, but I wasn't sure I could retell it in a poem form." 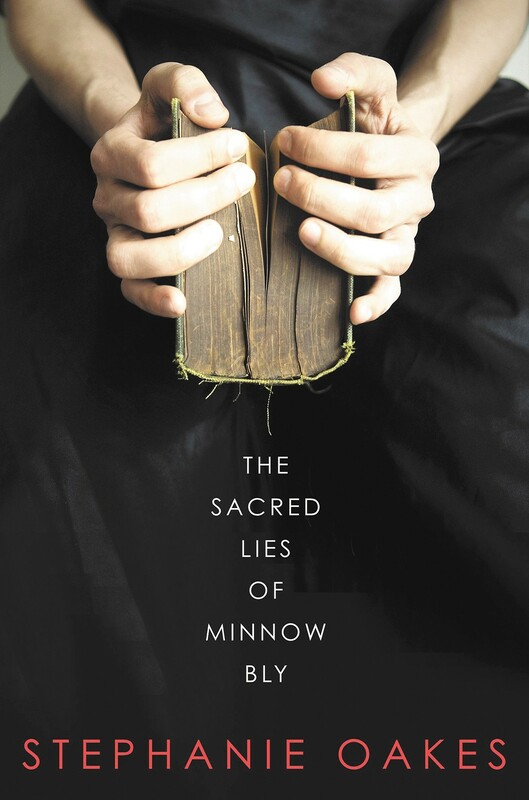 Oakes didn't start the first draft of The Sacred Lies of Minnow Bly until she completed the MFA program. She then enrolled in Whitworth's Masters in Teaching program, and now teaches research skills and runs the library at Libby Center, Spokane Public Schools' gifted learning facility. But back in April of 2010, Oakes set out to write a poem a day in recognition of National Poetry Month. "I took out the line breaks and typed everything I'd written and had 5,000 words," she recalls. "I still do that sometimes. Poetry is almost my first language, and it's a mechanism to get the words out." It wasn't until much further along in the writing process, though, that Oakes says she really heard Minnow's voice. Sitting in the car in the parking lot of Yoke's on Argonne and Montgomery one day while her mom ran inside the store, Oakes pulled out her laptop. For announcements of upcoming readings, see stephanieoakesbooks.com.